I began trying to write about my experience with HIS/GER 433: The Holocaust and Representation and our study trip in Berlin over spring break since… well, since we were in Berlin in late February and early March. But I’ve been stymied, partially because the Spring 2016 semester has been a test of endurance and limits in every way possible, and partially because I needed time to sort out my thoughts. I worked with this class every week (sometimes every day) from January until May (with prep work beginning the semester before), serving as a sort of combination embedded archivist and co-instructor. As part of that work, I helped shape the syllabus, attended the seminar classes every week, participated in and led discussions, and helped plan and shape the final projects. 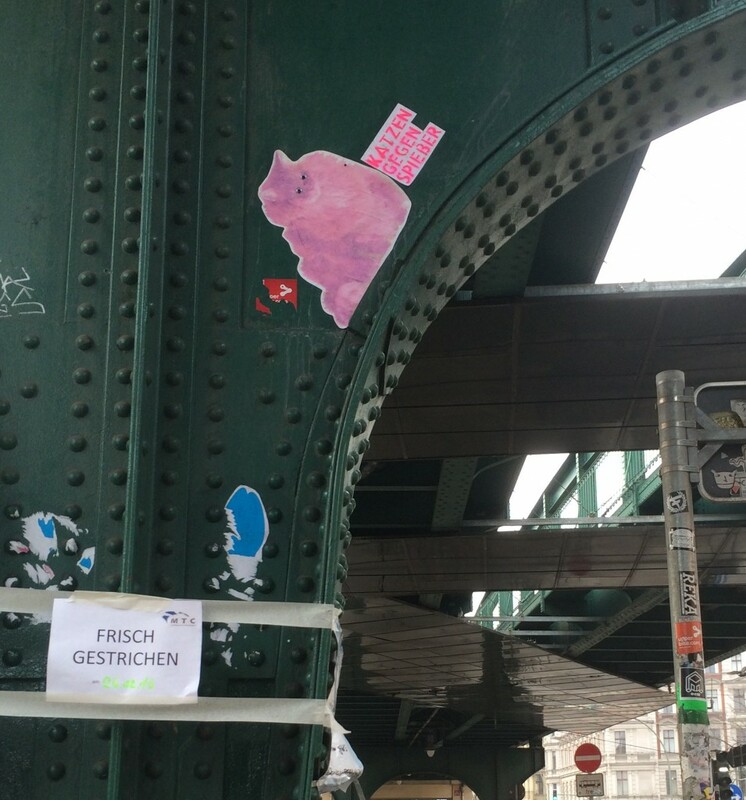 I also was part of an intensive class study trip in Berlin over spring break. HIS/GER 433 was experimental in nearly every way a class can be – the course comprised twelve students from a variety of majors (Caroline Bell ’17, Colin Bye ’17, Vita Dadoo Lomeli ’18, Kate Donahoo ’17, Rosi Goetz ’16, Hannah Grace Heartfield ’16, Matthew Schlerf ’16, Amanda Scott ’17, Bolton Smith ’16, Emily Taylor ’16, Nora Wartan ’16, and Ben Williams ’16) one lead faculty member (Scott Denham), two co-instructors (Roman Utkin and myself), and six faculty fellows from a variety of disciplines (Patricio Boyer, Caroline Fache, Kyra Kietrys, Kristi Multhaup, Alan Michael Parker, and Rizwan Zamir). Scott insisted on all participants being on a first-name basis with each other (no titles), and emphasized a democratic classroom model where students’ voices were allowed to drive both discussions and content. 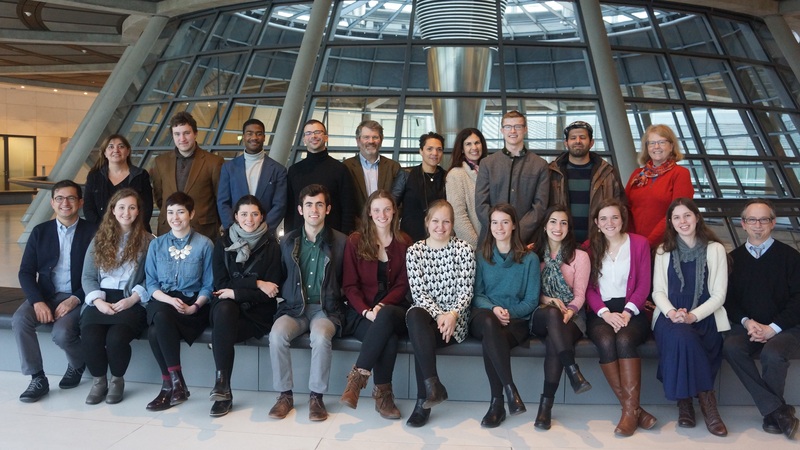 All 21 of us spent a week in Berlin together, visiting Holocaust sites and meeting with key figures in Germany to discuss remembrance and representation of genocide. No grades were given for individual assignments, and students and instructors dedicated many hours outside of the seminar meeting each week (particularly in Berlin and during the final project work, which I’ll describe more further on). 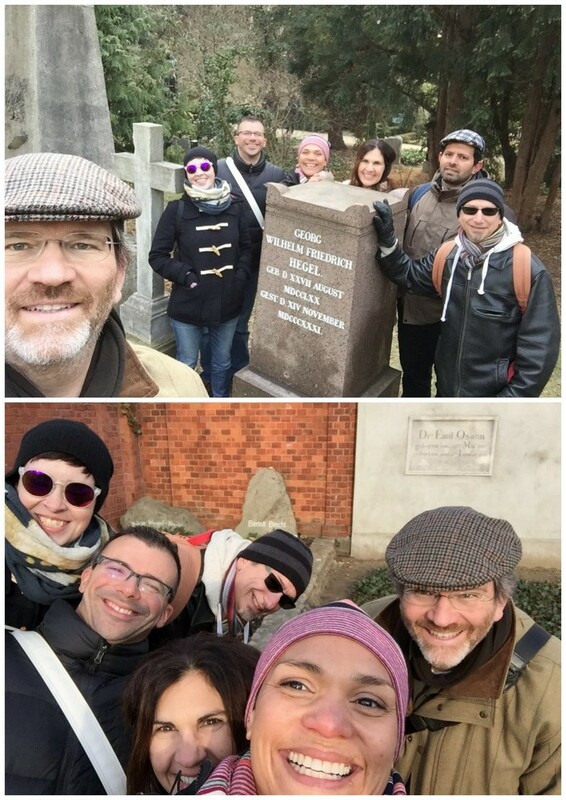 Course instructors get selfie-crazy in the Dorotheenstadt cemetery – posing with Hegel’s and Brecht’s graves. My role in the class was also pretty revolutionary – most of our archives & special collections classes are based around our existing collections, either teaching students how to use primary sources, helping them find and engage those sources for a project, or digitization and digital exhibit projects. But HIS/GER 433 utilized my base of knowledge (on the Holocaust, collective memory, and memorialization) and my “archival frame of mind” – I would often discuss archival theory in class and how it related to the historical research and readings students were conducting, and being an archivist helped ensure that the class final projects would end up in a repository (Davidson College’s archives, as a matter of fact). I was also pleased to see how interested in the students were in archivist/librarian careers – one student had already applied to library school (and was accepted during the semester! ), and three others talked to me about career paths related to information work. Being able to “model” what an archivist is and does for undergraduate students in this way was really a privilege. 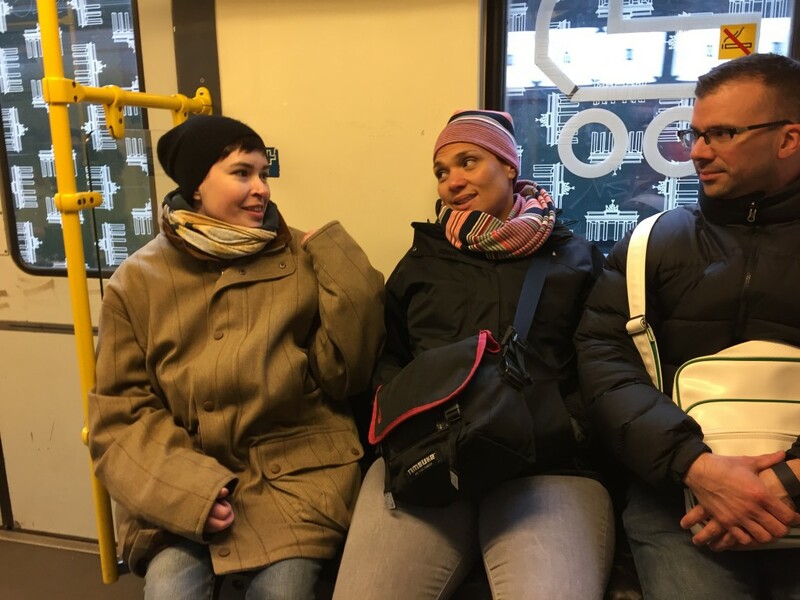 I feel like I’m still absorbing and processing everything that happened in Berlin and afterwards – I arrived in Berlin on February 24th, for two days of vacation before the students, other instructors, and faculty fellows joined me. Those first two days were incredibly relaxing – I made a point of not visiting any sites I knew the whole group would go to later in the week, so most of my free time was spent eating delicious food and wandering around Prenzlauerberg (with some jaunts to visit the Bauhaus Archiv, Currywurst Museum, and Templehof airport). 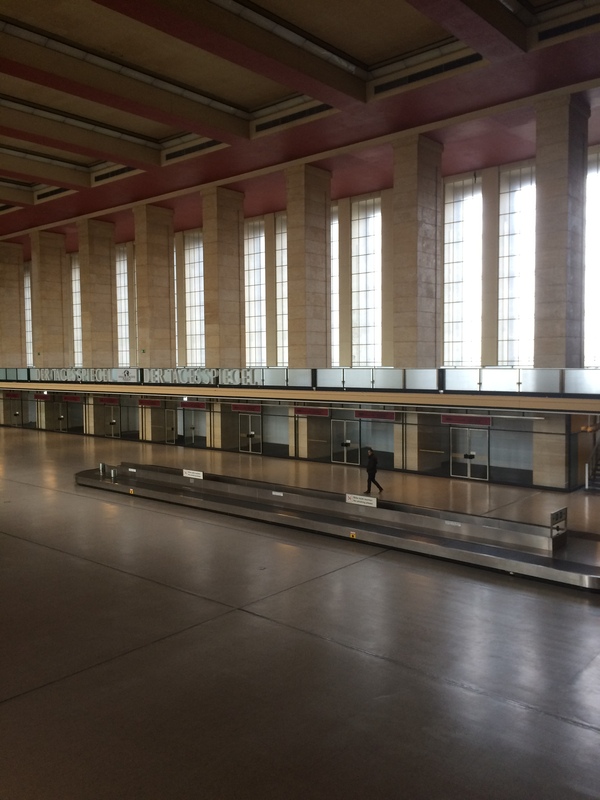 The interior of Templehof Airport – very cool! Once the students and fellow instructors arrived, the schedule was non-stop. The class experience in Berlin was so many things at once: exhausting (physically and emotionally), freezing, depressing, interesting, engaging, and incredibly educational. I feel like I know my students and my colleagues in a whole new way – I had so many fantastic group and one-on-one conversations about what we were seeing and feeling, and every person on the trip seemed to be genuinely moved and engaged in the subject and in our dissection of it. 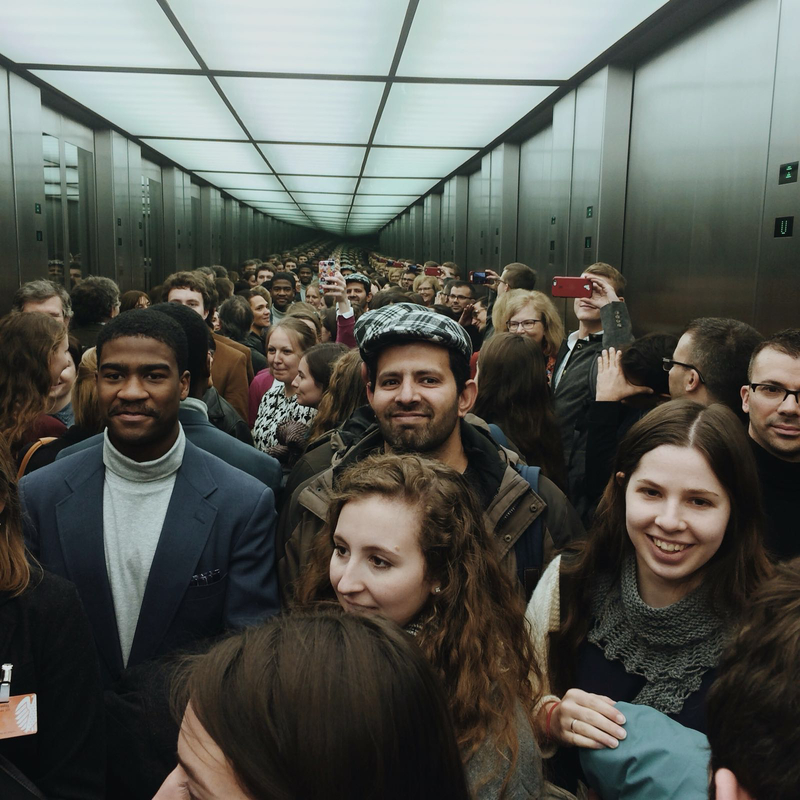 The people – students, faculty, staff, community – have always been the best part of working at Davidson College, and I already respected and admired the dedication and passion of our students and our employees, but that week together in Berlin awed me more than I would have thought possible. This community is special, and not just because of the academic rigor Davidson is known for. It’s a community that has allowed me to grow in a myriad of ways – as an archivist, as an instructor, and (as cheesy as it sounds) as a person. All 21 of us, in the Bundestag after meeting with Ekin Deligöz. The bonds we formed in Berlin carried over to the second half of the semester, particularly as we began discussing the final project outputs. We had several – an essay written for Gegen Vergessen – Für Demokratie e.V, a reading of Hank Greenspan’s play REMNANTS for the 2nd Annual National Jewish Theater Foundation – Holocaust Theater International Initiative Remembrance Readings, a presentation about the course and study trip by two students (Caroline Bell and Ben Williams), and the production of an archival book documenting the class. 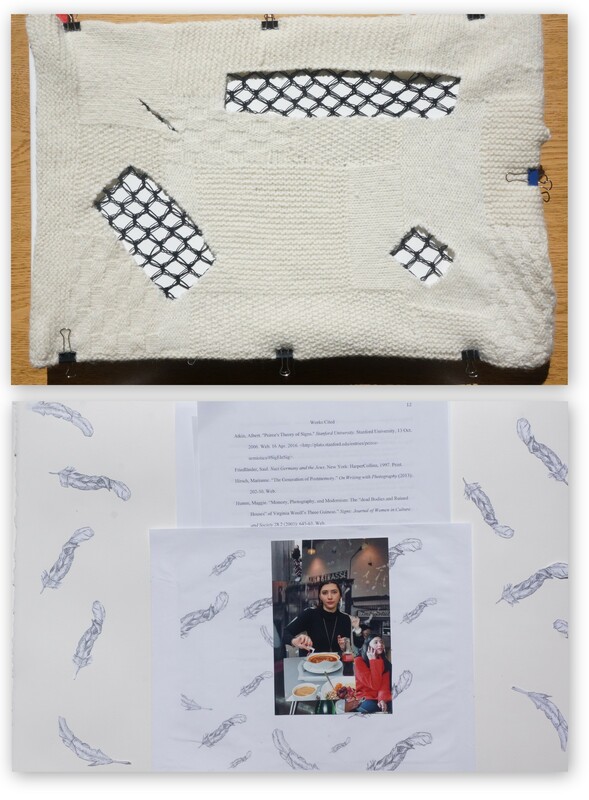 The archival book is particularly innovative – part scrapbook, part chapbook, part art object, the book includes extracts from writings students had done throughout the semester, reflections from students and instructors on the course and the study trip, hand-drawn charts, photo collages, and a fiber art cover that gestures towards Magdalena Abakanowicz and Joseph Beuys. The play reading, class presentation, and showing of the book all occurred during a public event on May 2nd. The cover (designed by Rosi Goetz and Amanda Scott), and Vita Dadoo Lomeli’s page – including a pocket containing an essay she wrote on the gendering of Kristallnacht and her bio photos. 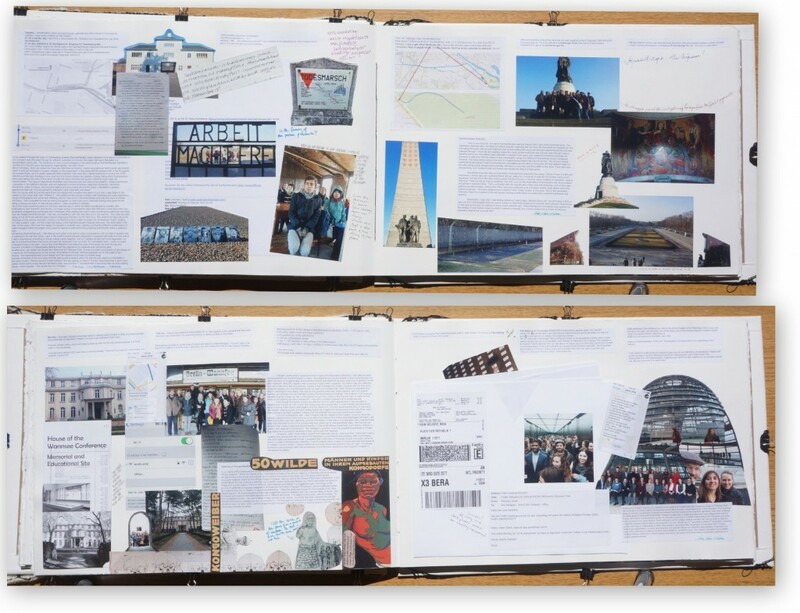 Two of the spreads from the archival book – the top pages cover the group’s visits to Sachsenhausen and Treptower Park (including a reflection by yours truly), and the bottom pages depict our visits to the House of the Wannsee Conference and the Bundestag/Reichstag. Seven of these students graduated this past weekend, so I’m feeling extra verklempt as I write this – I’m so, so proud of the students from HIS/GER 433, not only for the high quality of the work that they produced by the end of the semester, but for their thoughtfulness and creativity throughout the class. I’m proud to have been a part of this group of people, teaching and learning from each other. Outside of our wonderful students and faculty mentioned above, several other deserve thanks for making this course into the amazing experience it was: Gabe Ford for lending us his experience and bookmaking tools, the Weinstein and BACCA Funds for helping fund the study trip, the National Jewish Theater Foundation and Hank Greenspan for allowing us to stage the reading of his play, and the Davidson College administration for supporting this innovative model of course instruction and faculty/staff development. Big thanks also to my coworkers, for helping cover the archives reference desk while I spent so much time with the course. I’ve been ruminating a lot on work-life balance recently – it’s a topic that comes up time and again across the many communities I identify as being a part of: archivists, librarians, digital humanists, academics. How much beyond 40-ish hours per week should I be giving my job? How do I “count” work done outside of the library building/not at my desk, as that’s sometimes invisible to others? My position is a staff position, which can sometimes be at odds with the collaborations and interactions I have with faculty on campus, whose working hours are different than most of our staff. I struggle with what’s best for the Davidson community, for my physical and mental health… but the answer has been boiling down to: for our students, our faculty, our community – I want to give all of my time. I want to be better, because this community deserves my best. I feel like I’ve drank the institutional Kool-Aid, but working for the archives of Davidson College has allowed me to learn so much, and I want to give back what I can to this community. 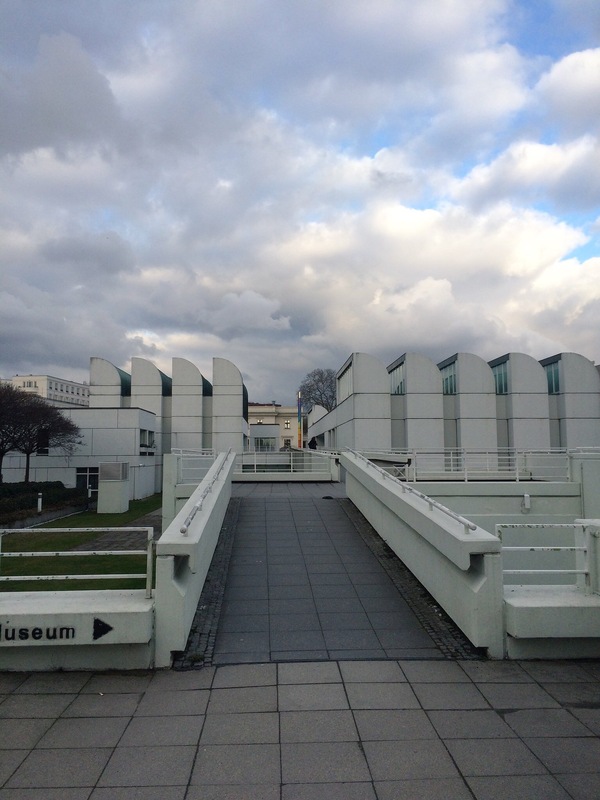 Bauhaus Archiv! I made a quick visit before our trip really got underway. 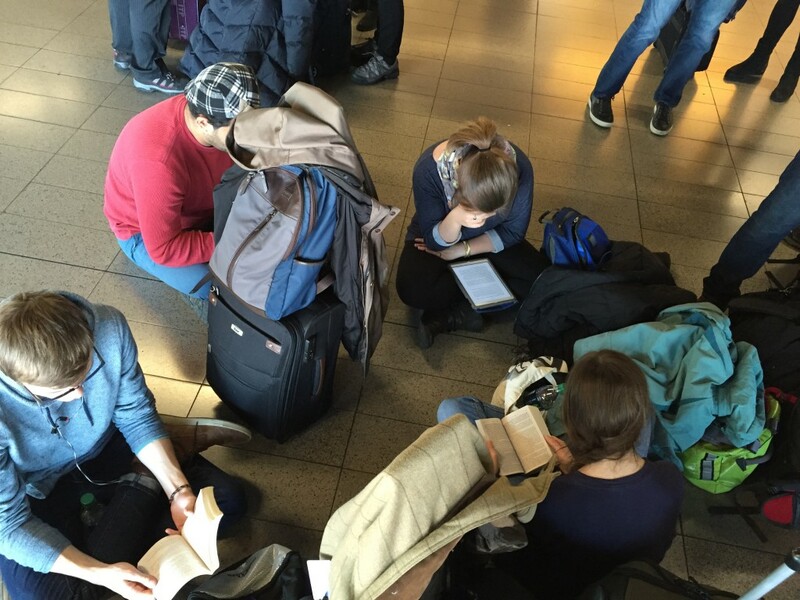 While I was at the Bauhaus Archiv, the rest of the group was making their way to Berlin – here, Rizwan, Rosi, Colin, and Caroline B. all read on the floor of an airport. Best graffiti at our local U Bahn – roughly translates to “cats against petty bourgeoisie” (although “Spießer” is one of those words that’s hard to translate, it seems). 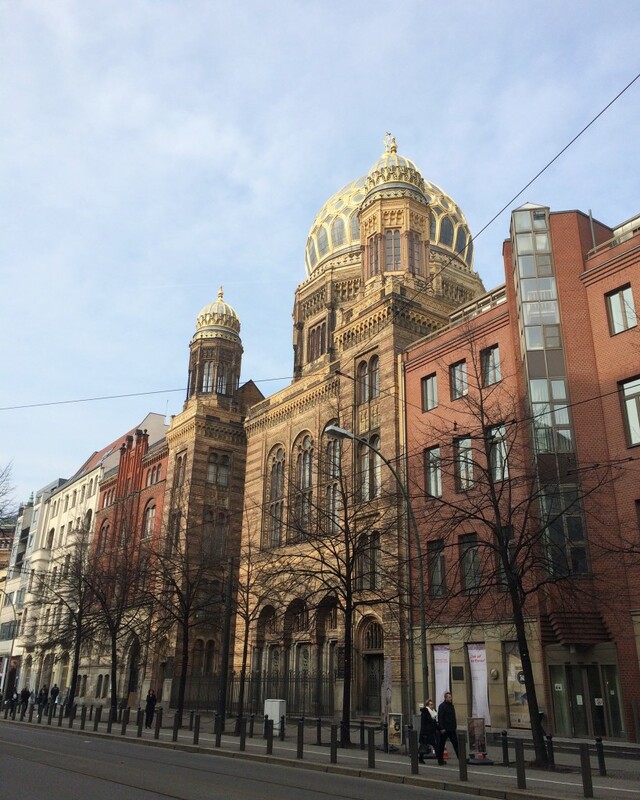 Neue Synagoge, on Oranienburger Straße – we stopped here on our first full day in Berlin, and Patricio gave a mini-lecture on the Moorish architectural style and La Convivencia. Chatting with Caroline F. and Patricio on our way around Berlin – whenever members of the group got too cold, Scott lent his jacket out to them. Much appreciated! 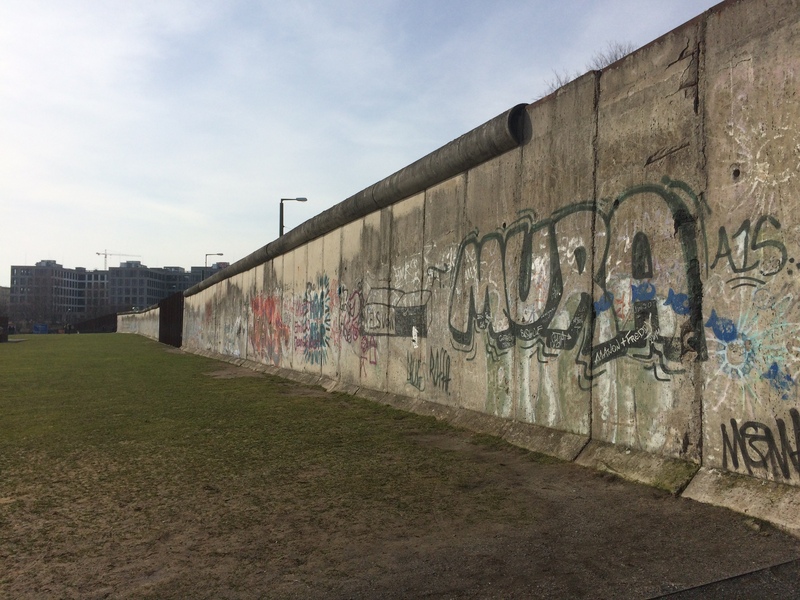 You can’t go to Berlin and NOT visit the Berlin Wall Memorial – we had interesting conversations throughout the trip about how the divided nature of Berlin and Germany as a whole affected public memorialization of the Holocaust. 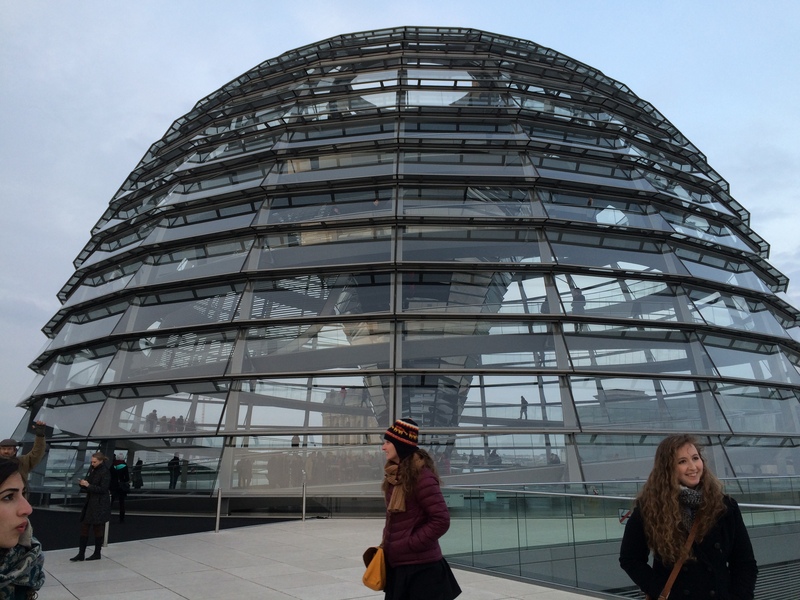 One of my favorite pictures I took on the trip: Nora, Emily, and Kate in front of the Reichstag dome. 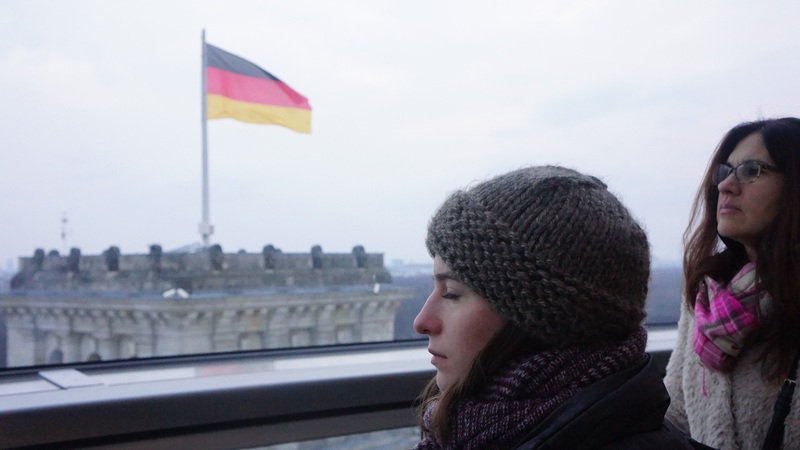 Hannah Grace and Kyra in the Reichstag dome, with the German flag in the background. 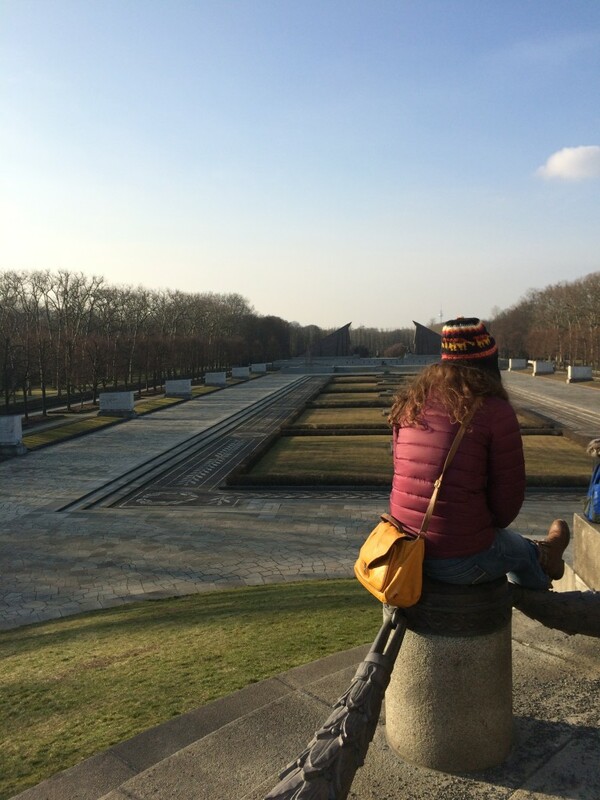 Emily takes in the scale of Treptower Park – a really massive Soviet War Memorial. 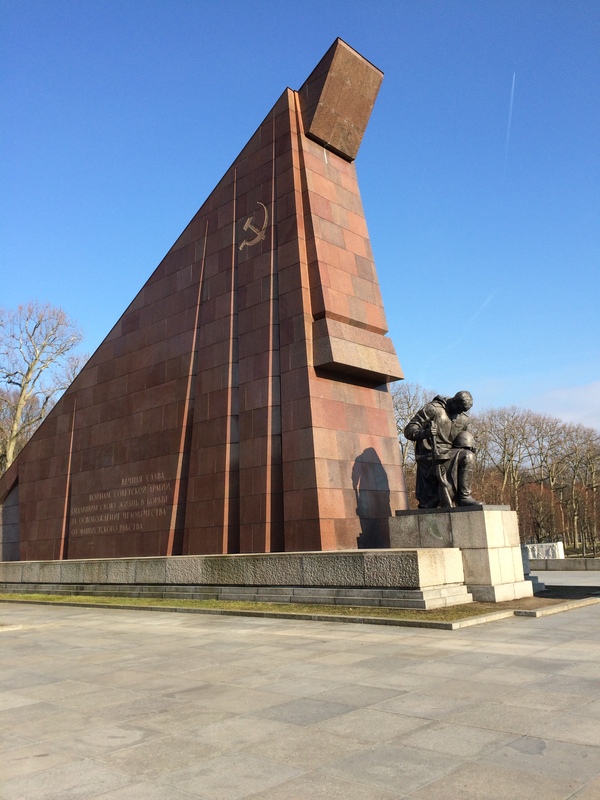 The entrance to the memorial at Treptower Park. 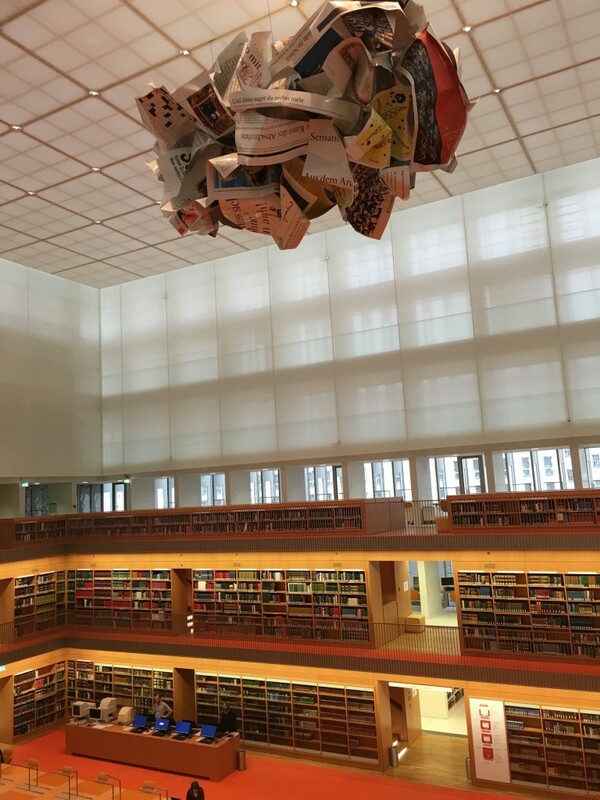 We visited the amazing Staatsbibliothek zu Berlin Haus Unter den Linden reading room, with this beautiful sculpture of gigantic newspapers. 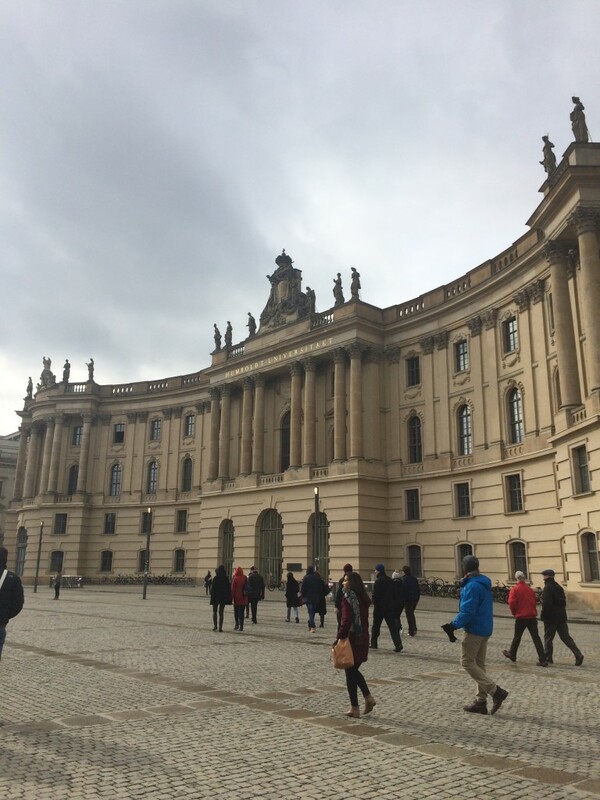 After our tour of the building, Michaela Scheibe gave us a lecture on Nazi looted books and we briefly chatted about German library schools and cataloging systems. 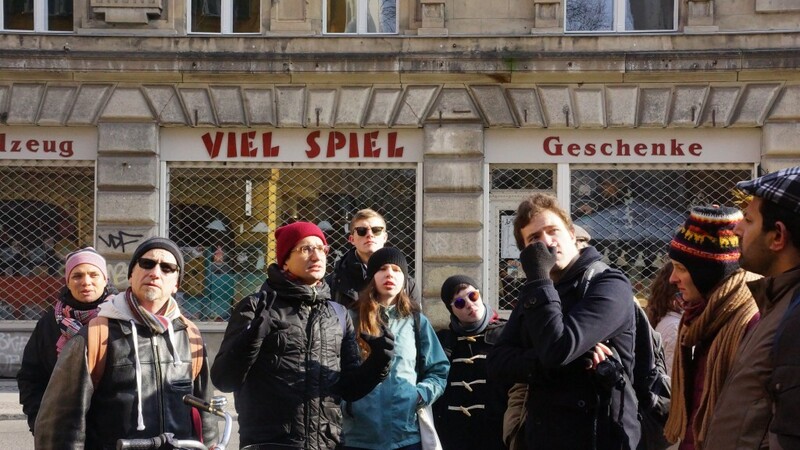 The group wanders through the Humboldt-Universität zu Berlin on our way to look at the Neue Wache. 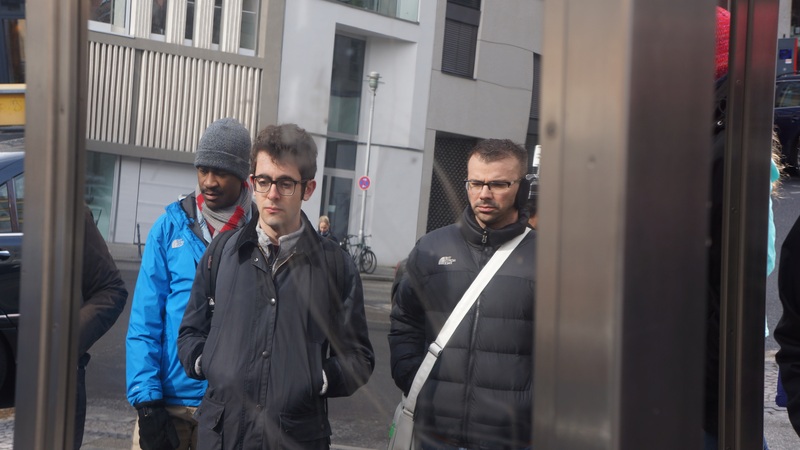 Ben, Matthew, and Patricio somberly examine a memorial to Jewish businesses in the fashion/clothing industry, outside of the Hausvogteiplatz U Bahn. The group listens intently to Roman lecturing. 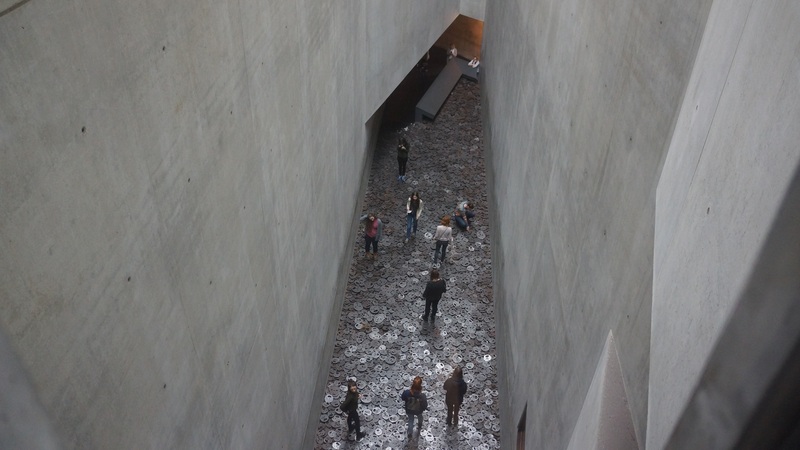 Prior to the trip, we’d had a class discussion on the Jewish Museum and it’s complex and fascinating design (truly, you need to visit in person to really experience the intricate design and its physicality). We talked about whether or not to walk on Menashe Kadishman’s installation of metal faces, whether walking or witnessing makes one more or less complicit. Here, a few of our group walk on the sculpture. 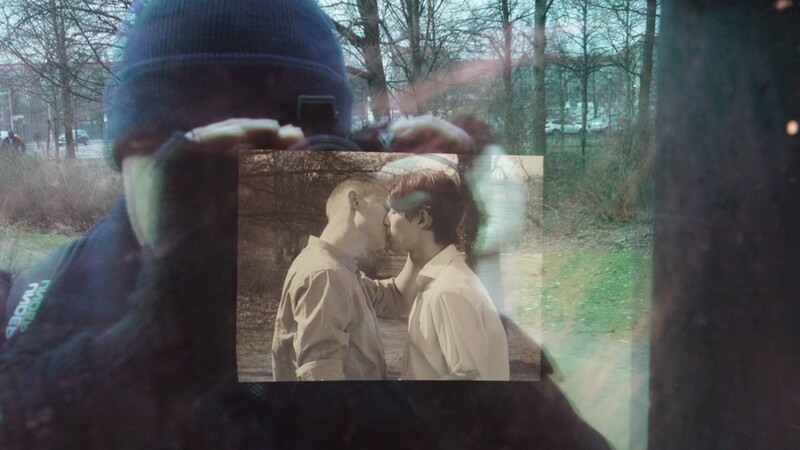 Bolton takes a picture of the video playing in the Memorial to Homosexuals persecuted under Nazism. 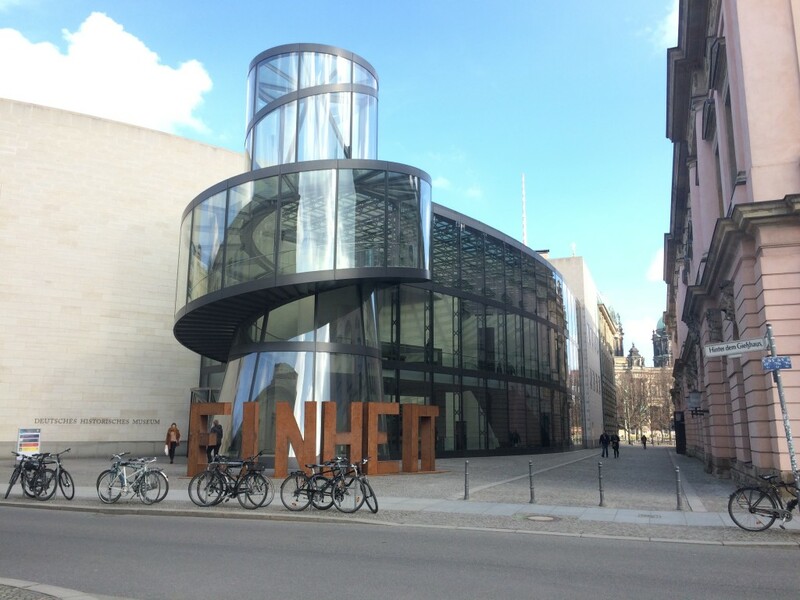 Sculpture outside of the Deutsches Historisches Museum – “Einheit” means unity. 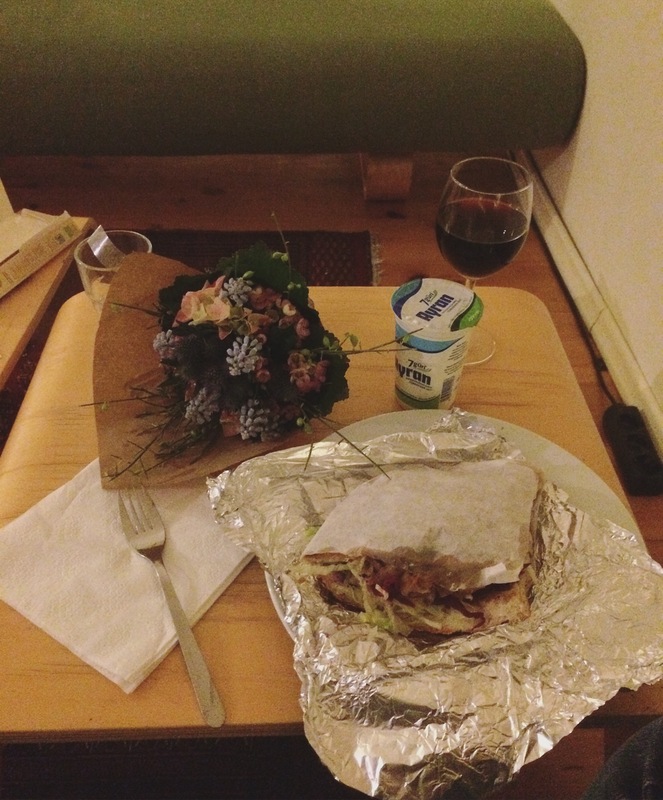 Another new experience – my first döner, from Rosenthaler Grill und Schlemmerbuffet.